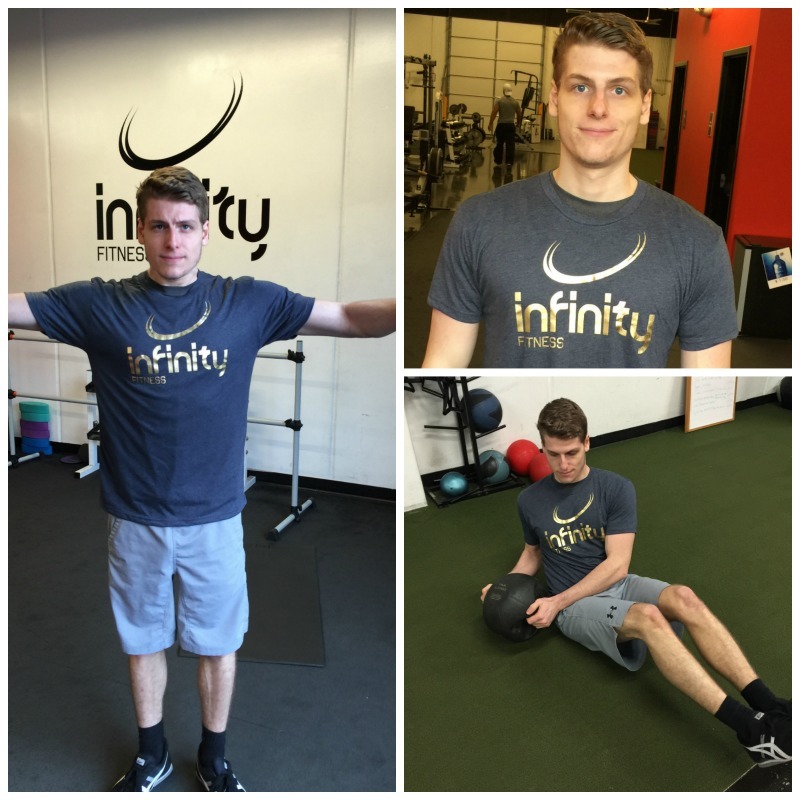 At Infinity Fitness, our highly educated staff are here to help you reach whatever fitness goals you may have. Let us help you determine which Fitgineer will best give you that lifestyle change, desirable physique, enhanced self confidence, or increased athletic ability that you have been looking for! Fitgineer: noun ˈfit-jə-ˈnir An Einstein in the areas of health, wellness and athleticism. Set apart by offering premium service and custom-design programs that will transform a person’s body, nutrition, and quality of life. We are the next level of personal trainers. We are FITGINEERS. Most Gratifying Moment with a Client: When one of his female clients husband called to yell at him because his wife went down 5 dress sizes and had to buy a new wardrobe. Journey to Greatness: As a football player at Miami University, he won the National Nike Fitness & Training National Championship in L.A, California which catapulted his career as Certified Strength & Conditioning Specialist (CSCS) becoming part of a number of elite athlete’s careers. 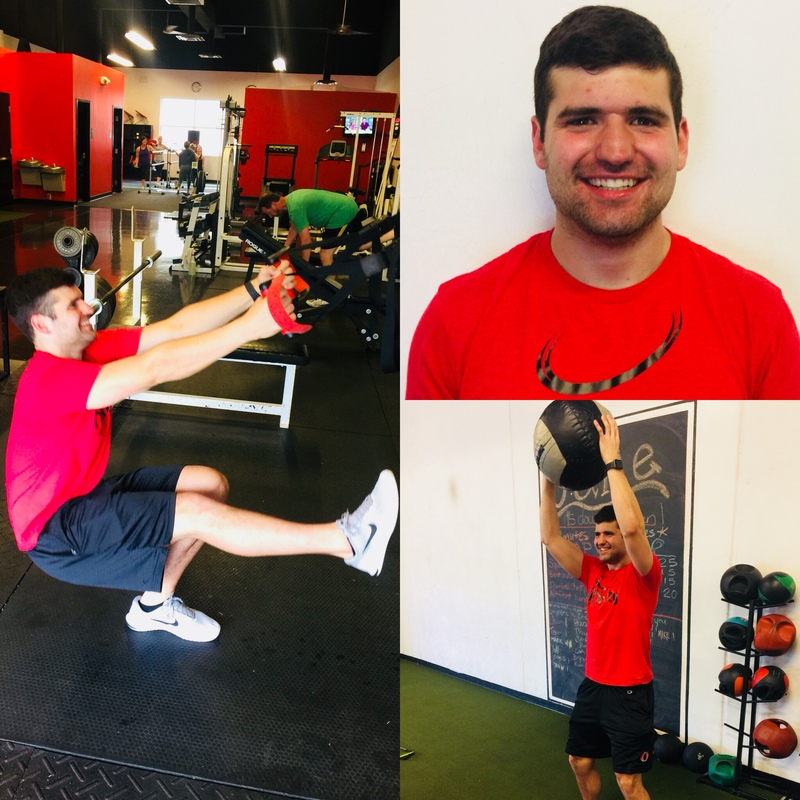 He continues to grow his knowledge by learning the most updated techniques by becoming certified in Pilates, Speed & Agility Training. Adapting workouts as one ages to reach peak performance without risk of injuries. Most Gratifying Moment with a Client:That ‘breakthrough’ moment when they gain that confidence that weight training gives you. Fitness Mentor: Kathryn Budig & Erin Stern. Fitness Secret: Think about the muscle you are engaging. The mind-body connection makes the workout more effective. When not at the GYM: If she’s not at the gym, she is making the world her gym! But most of all, she loves spending time with her 2 kids. Journey to Greatness: Her intense background in dance and choreography has shaped her fitness lifestyle. She’s a certified personal trainer through Hondros College and constantly in pursuit of new techniques and elements of training to enhance the results of her clients. She is also an awarded NPC figure competitor as well as a figure competition coach. Most Gratifying Moment with a Client: Helping his clients consistently achieve both their fitness and nutritional goals as well as staying dedicated to the training and wellness process and transforming that into a lifestyle instead of a short term fix. Fitness Secret: Train your body, Not your ego, Warm up/Cool Down, Flexibility, Consistency. When not at the GYM: Staying active (softball, basketball, flag football, running, swimming, etc), continuing old hobbies such as drawing/designing/illustrating, watching his beloved BUCKEYES and JAGUARS, and spending time with his big family and wonderful pooches Rocko and the Boogster. 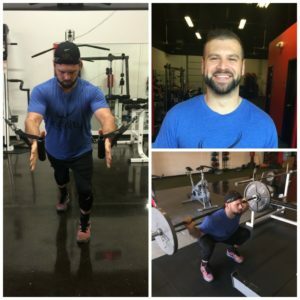 Journey to Greatness: Vince initially began his career in health care as a Licensed EMT and Firefighter the first few years out of High School, then pursued an education and career in Physical Therapy. Vince graduated with Honors from Marion Technical College with an Associates of Applied Science in the Physical Therapist Assistant (PTA) Program, then became a Licensed PTA through the Ohio OTPTAT Board after passing the NPTAE in April of 2015. 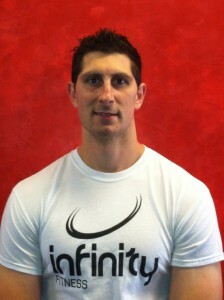 Vince is now working both as a full time PTA for Mount Carmel and personal trainer here at Infinity Fitness. What He’s Working on Now: Vince is currently working on furthering his clinical knowledge and education through practice as well as continuing education courses. Most Gratifying Moment with a Client: When I first break a plateau with my client that they have been struggling with. Journey to Greatness: As the Recipient of the 2018 Glendine Huggins Wadlington Memorial Endowed Award at Otterbein University, I have what it takes to overcome challenges. Not only have I fought through my own adversity, I would like to serve as a role model for those who struggle with their own obstacles. Physical, Mental, and Emotional health are all intertwined and greatly improve through physical activity and proper nutrition! What He’s Working on Now: Creating a reputation for being one of the best trainers at Infinity Fitness. 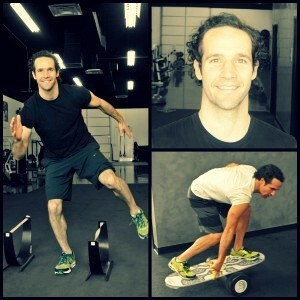 With certifications through ACSM as a personal trainer and never ending research, he strives to master his profession. Hunter uses SMART goals in order to hold clients accountable and tailor programs specifically to each individual. Journey to Greatness: At a young age always interested and passionate about working out. All-Star running back at Westerville Central and Dublin Scioto. Played football at Bowling Green State University. Worked at big gyms and realized enjoys building relationships and getting results on a one on one basis. What He’s Working on Now: Always ready to help clients achieve their goals. Creating a reputation for being one of the best trainers at Infinity Fitness. Growing reputation by acquiring National Fitness Certifications. My name is Drew Weizer. I graduated from Youngstown State University in 2008 with a Bachelors Degree in Physical Education. At Youngstown, I was a member of the track and field team for four years. In 2010, I earned my Masters Degree in Exercise Science and became a Certified Personal Trainer (CPT) through the National Academy of Sports Medicine (NASM). I also hold a certification with the National Association of Speed and Explosion (NASE) that has taught me many techniques in increasing athletic performance. I have experience working with a wide variety of populations including athletes, weight loss clients, seniors, and rehabilitation clients. I will create exciting exercise programs geared to meet your specific needs. I serve each of my clients as a trainer, educator, and motivator to assure that they meet their goals while increasing their health, happiness, and success. When not at the GYM: Playing guitar, eating, running, cycling and spending time with friends. Journey to Greatness: Started the journey running cross country in high school. After high school he got obsessed with nutrition and shortly after that lifting weights. Jacob Is now NASM certified and excited to help others reach their fitness goals. 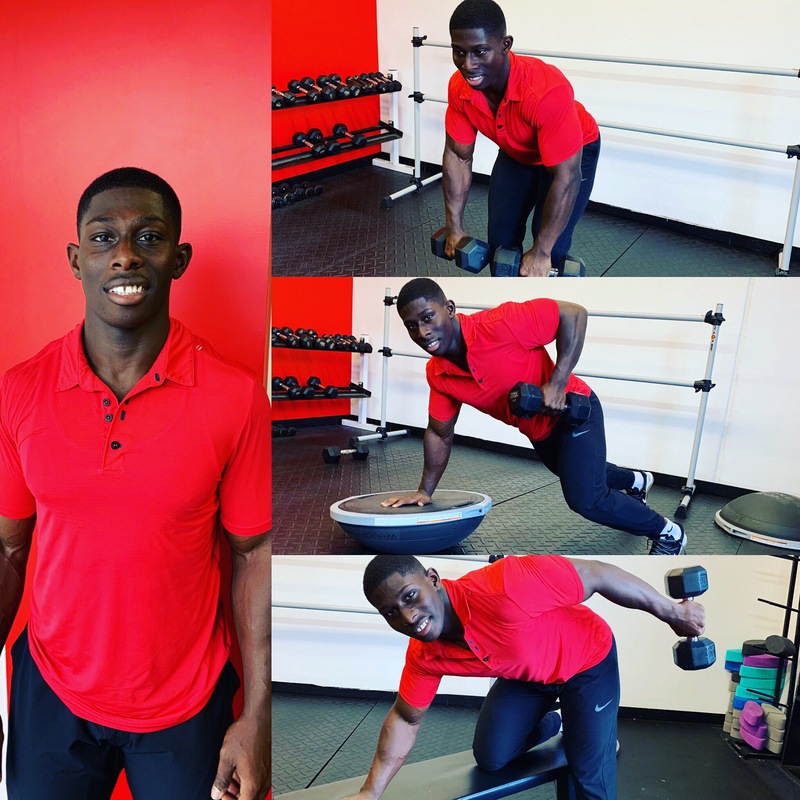 What He’s Working on Now: In his career, Jacob is working on helping as many people as a personal trainer and increasing his clientele. Personally, he is working on building as much muscle as possible! Journey to Greatness: From Elementary through High School she was involved in a variety of sports including: Gymnastics, Cheerleading, Track and Field, Cross Country, and Swimming. Her love of exercise and athletics continued throughout college, as she double-majored in Athletic Training and Health Promotion and Fitness at Otterbein University. Through several clinical and practical experiences she became more knowledgeable about working with a diverse population of individuals, ranging from adolescents to seniors. Kenleigh is passionate about achieving her health and wellness goals and helping others to achieve theirs too. What She’s Working on Now: Studying to take a few certification exams to build her professional skill set. Fitness Secret: Iron sharpens Iron. What they are Working on Now: Conducts a lot of research regarding fad diets, exercise development, nutrition, physical therapy, sports training and performance.